Attestation. The act of attending the execution of a document and bearing witness to its authenticity, by signing one's name to it to affirm that it is genuine. The certification by a custodian of records that a copy of an original document is a true copy that is demonstrated by his or her signature on a certificate. 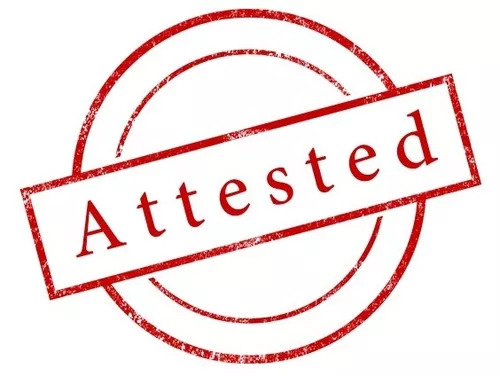 We are providing all kind of Attestation Related Supports to our clients, starting from just a consulting part to performing all the procedure formalities on behalf of the client. We have built our reputation in the market with honesty, trust and professionalism.